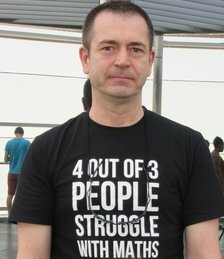 I have been working in, living in and travelling around the Middle East for some 32-odd years. When I'm not writing books, I work as a consultant in publishing, media and digital communications. My first attempt at writing a book was in 2002, when I sat down to write high-tech comedy thriller Space. The book was not seen as a commercial proposition by literary agents and publishers, many of whom took the trouble to point out that humour doesn’t sell. I rolled up my sleeves to write a serious book and by accident wrote a critically acclaimed novel, Olives – A Violent Romance, a serious work that explores the attitudes, perceptions and conflicts of the Middle East, exposing a European sensibility to the strange and multi-layered world of life on the borders of Palestine. This was followed by testosterone-soaked international spy thriller Beirut – An Explosive Thriller, which launched in December 2012 and - slightly more considered but still pacey for all that - Shemlan – A Deadly Tragedy, published in 2013. Although the three ‘Levant Cycle’ books are by no means a trilogy, they follow a roughly contiguous timeline and share many of the same characters. Advised by someone in publishing who knows what they're talking about to 'get out of the Middle East', I then wrote thriller A Decent Bomber, set in Northern Ireland. Which, in its way, is both funny and profoundly depressing. My newest book is psychological thriller Birdkill. It's set in the UK, which was by no means intentional. So much so that I went to some lengths in the book to disguise its actual location. I am a frequent conference speaker, chair and moderator, particularly on issues around online and digital communications and I'm a reasonably regular commentator on developments in the technology and online spheres and often to be heard opining on these sorts of thing on Dubai Eye radio. I've been on the BBC a few times talking about things like Dubai, information technology and book publishing. Not all at once, clearly. An answer to the question I'm asked most frequently: What started me writing? Talking to Gulf News about learning to write, Birdkill and stuff! Chatting to the Culture Matters podcast about life in the UAE and Middle East. Short story Meeting Mr Fox on Jordan's Project Pen website. Interviewed by The Displaced Nation blog. Talking to The National newspaper. Jordanian news site Bawaba bigs up the controversies of me. A Death in Dubai - short story for Time Out magazine. Apparently I've become a crime writer! The Emirates LitFest blog interview. I am deeply proud of my answer to the question about literacy. Talking to author pal Phillipa Fioretti about cooking. Well, it's a change from books!